XS Dog Collars : Your Pet Store, Made in the USA! 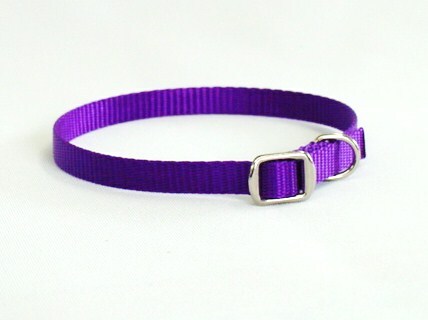 Neck size up to 14", which fits dogs up to 20 lbs. High quality 3/8" wide nylon and durable hardware.